At Design Memorial Stone Service, we have the largest inventory of granite monuments, granite markers and benches in northwest Ohio and southeast Michigan. 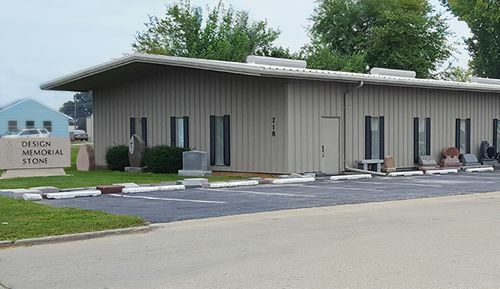 Our experienced professionals manufacture our granite monuments and granite markers right here in our Maumee, Ohio, facility. We perform diamond and laser etching services as well as custom engraving on natural stone products and final date cemetery lettering. Design Memorial Stone Service has been providing granite markers and more to residents of northwest Ohio and southeast Michigan since 1977. 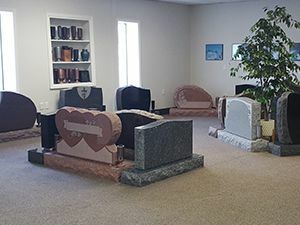 We have more than 100 granite monuments, markers and benches in various sizes, styles and colors in stock in our Maumee, Ohio facility. It is our goal to furnish to each family served, a personalized memorial for your loved one. It will be designed and carved on select monumental granite to be a lasting tribute that will stand the test of time. 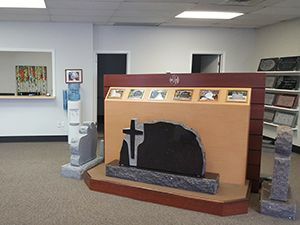 Call the experienced professionals at Design Memorial Stone Service today to find out more about our granite monuments, natural stone products, and bronze plaques. We can be reached at 877-891-9101. We would be happy to help you select the right or cementary stone for you and your family members.